Commonly used in aromatherapy, geranium oil has its history rooted in the times of the ancient Egyptians. The oil is known to promote beautiful and radiant skin, along with fighting inflammation and anxiety. There is more to it than we can talk here. Which is why you need to continue reading. What Is Geranium Oil? How Is It Beneficial? What Are The Benefits Of Geranium Oil? What Are The Side Effects Of Geranium Oil? The oil is derived from the geranium shrub, which is a perennial plant native to South Africa. The essential oil is one of the many derivatives of the plant, and it contains several beneficial compounds. The oil’s primary uses lie in aromatherapy, where it is used to treat acne, anxiety, and insomnia. It can also uplift your mood and relieve fatigue. And thanks to its aroma, it is quite popular among women. The main components of geranium oil include citronellol and geraniol, along with nerol, citronellyl formate, and linalool. And these are responsible for the benefits this oil offers. The astringent properties of geranium oil can help reduce wrinkles. The oil induces contractions in several areas of the body, and this can tighten the skin, especially on the face, thereby reducing wrinkles and even delaying their onset. You can simply add two drops of geranium oil to your face lotion and apply twice every day. Geranium oil has properties that balance the moisture levels in the skin and aid skin cell renewal, which can ultimately help in treating acne. The anti-inflammatory properties of geranium oil also help treat eczema, dermatitis, and psoriasis (1). Adding a few drops of the oil to your everyday shampoo can also help treat eczema and psoriasis. A drop or two of the oil alone can help heal cold sores. You can also use the oil to heal stretch marks. The astringent properties of geranium oil come into play here. The oil helps tighten and contract the muscles, preventing them from sagging. It can also tone your abdominal section. All you need to do is mix five drops of geranium oil with a tablespoon of jojoba oil and massage, focusing on the muscles. The oil is replete with antibacterial properties, and this can help fight infections. You can use this to accelerate wound healing – as the oil prevents the growth of bacteria on the skin. Just pour two drops of geranium oil on the affected area and cover it with a gauze. Repeating this twice a day can offer results. Studies also show how geranium oil can be used for fighting infections and maintaining hygiene and disinfection in hospitals (2). Apart from its antibacterial properties, another way geranium oil accelerates healing is by inducing blood clots. The oil contracts the blood vessels and stops blood flow, speeding up the formation of blood clots. This heals wounds and hinders the entry of toxins in the body. Geranium oil triggers the microglial cells that are known to fight inflammation in neural pathways and prevent neurodegenerative diseases like Alzheimer’s and dementia. The use of the oil in aromatherapy is another great way to treat Alzheimer’s and other similar conditions (3). The oil, when used in aromatherapy, can also aid in the treatment of chronic stress and depression. We already know that it can fight inflammation and certain ailments associated with it. But it is interesting to note that geranium oil helps ease arthritis and heart disease as well – as it reduces inflammation in the body, the rate of recovery from these ailments increases. Studies also show how geranium oil can be a better anti-inflammatory agent than most drugs (4). Geranium contains certain compounds that possess effects similar to antibiotics – which is why it can be used as a good remedy for nasal and throat infections. The oil also reduces soreness, thanks to its soothing effects. Use geranium oil twice a day using a diffuser, and you will see the difference. Geranium oil is a natural diuretic, and this means it can promote urination. Through urination, one can release toxins, excess sugar and sodium, and even heavy metals – thereby detoxifying the body and keeping it healthy. Geranium oil, and even essential oils in general, work by dilating the arteries – and this helps lower blood pressure levels. The oil also acts as an antioxidant and reduces oxidative stress, which is another contributor to high blood pressure and heart disease. It also helps calm your mind, which has a direct (and healthy) impact on your blood pressure levels. Studies also show how inhaling essential oils can have immediate effects on blood pressure levels (5). When applied to the skin, this oil can fight nerve pain. Studies show how it can reduce nerve pain that often accompanies shingles (a condition caused by the herpes virus). 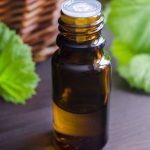 You can simply make a massage oil by mixing three drops of geranium oil with a tablespoon of coconut oil – massage the mixture into the affected areas. The antibacterial properties of geranium oil can prevent bacterial infections of the scalp and ultimately contribute to hair health. Though more research is warranted, certain sources state that geranium oil can strengthen the hair follicles by increasing scalp circulation. These are the ways geranium oil can benefit you. But there is something else you need to keep in mind – the list of side effects. Though taking the oil in normal amounts may be safe, we don’t know what excess of it can do. Hence, consult your doctor before taking the oil, and even if you take it, do so only in normal amounts. Certain people with sensitive skin may experience skin irritation. Hence, we recommend you do a patch test. We saw that geranium is a natural diuretic – it helps eliminate excess water. But if you are already taking geranium oil, don’t combine it with any other natural diuretic. Otherwise, it might cause dehydration. Aromatherapy is one way geranium oil can benefit you. And you saw the other ways it can make your life better. So, why don’t you start using it right away? Where can I buy geranium oil? You can get the oil from your nearest supermarket. Or you can also procure it online from Amazon or Walmart. Can I use geranium oil directly on the skin? Yes, but do a patch test first. Some people tend to develop a reaction to the oil. 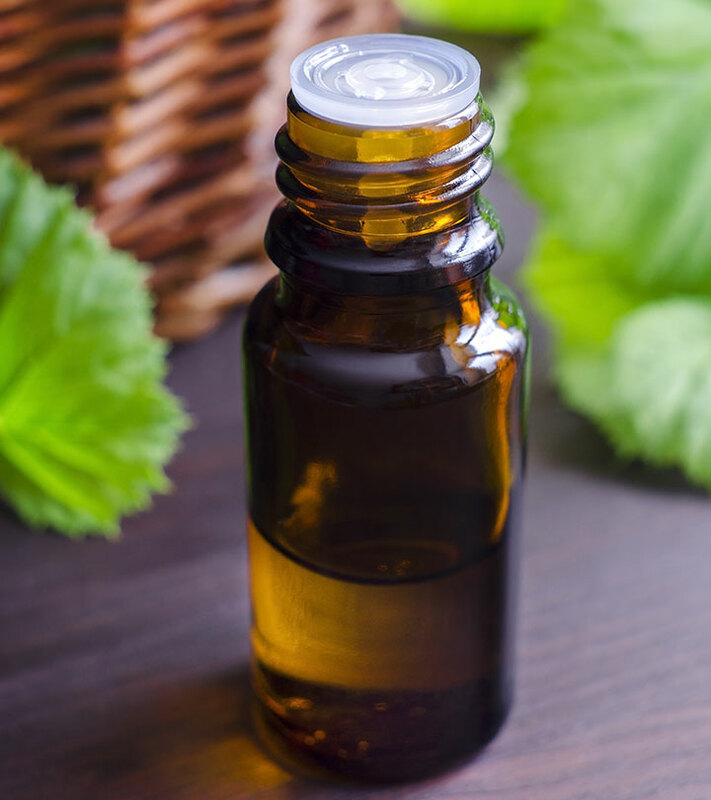 Which other oil mixes well with geranium oil? You can mix coconut oil with geranium oil for added benefits. 1. “Rose geranium essential oil as a…”. US National Library of Medicine. 2. “The biological activities of cinnamon, geranium…”. US National Library of Medicine. 3. “Effect of aromatherapy on patients…”. US National Library of Medicine. 4. “Rose geranium essential oil as a source…”. US National Library of Medicine. 5. “Essential oil inhalation on blood…”. US National Library of Medicine.